Upon completing the J.D. program at Thompson Rivers University’s Faculty of Law in 2015, Michael joined our team as an articled student. 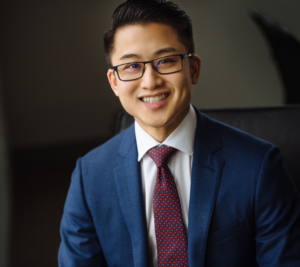 During his first and second year summers, Michael worked for the Ministry of Justice at Downtown Community Court and Johnson Doyle Sugarman in Vancouver, respectively, where he gained experience in litigation and criminal law. Michael worked with several of the most well-respected criminal lawyers in Vancouver. In 2016, Michael was called to the Bar in British Columbia, at which time he joined Sorensen Smith as an associate. Michael has represented clients in British Columbia in both Provincial Court and Supreme Court. In addition, he has represented clients in matters relating to the Workers Compensation Act, the Canada Labour Code, the BC Human Rights Code, and the Federal Canadian Human Rights Act. Michael has been involved in drafting litigation documents, including initiating pleadings, applications, affidavits, orders, written submissions, legal opinions, and settlement agreements. He has also assisted clients with drafting leases, wills, powers of attorney, representation agreements, and other various types of contracts. Michael’s advocacy work includes conducting examinations for discovery, representing his clients at settlement conferences, trial management conferences, Chambers applications, summary trials, trials, and at oral hearings with the Residential Tenancy Branch, the Superintendent of Motor Vehicles, and WCAT. Outside of work, Michael is an avid hockey fan and foodie. He enjoys spending time with his friends and family.